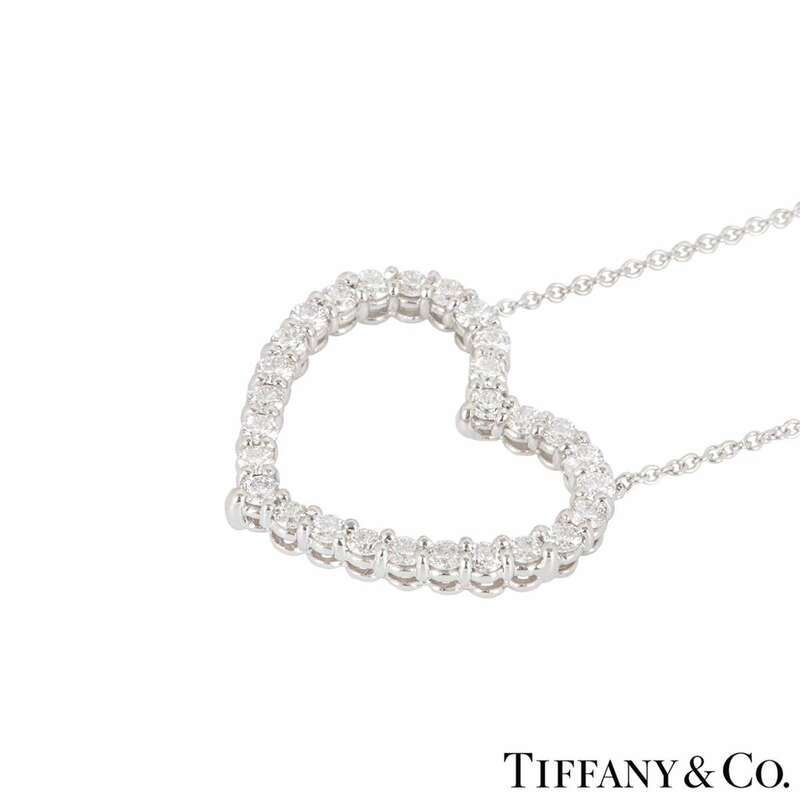 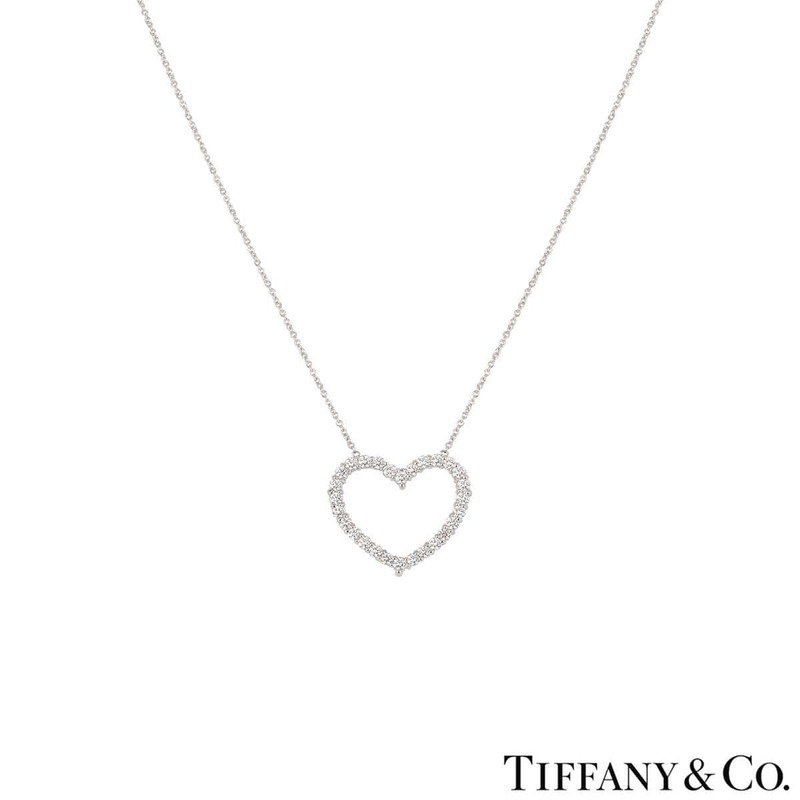 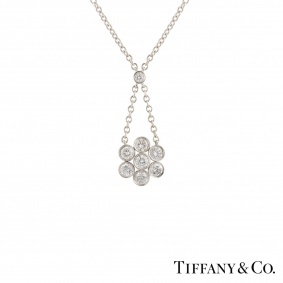 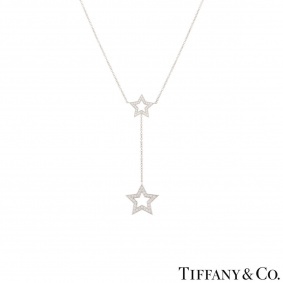 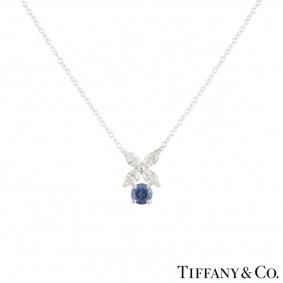 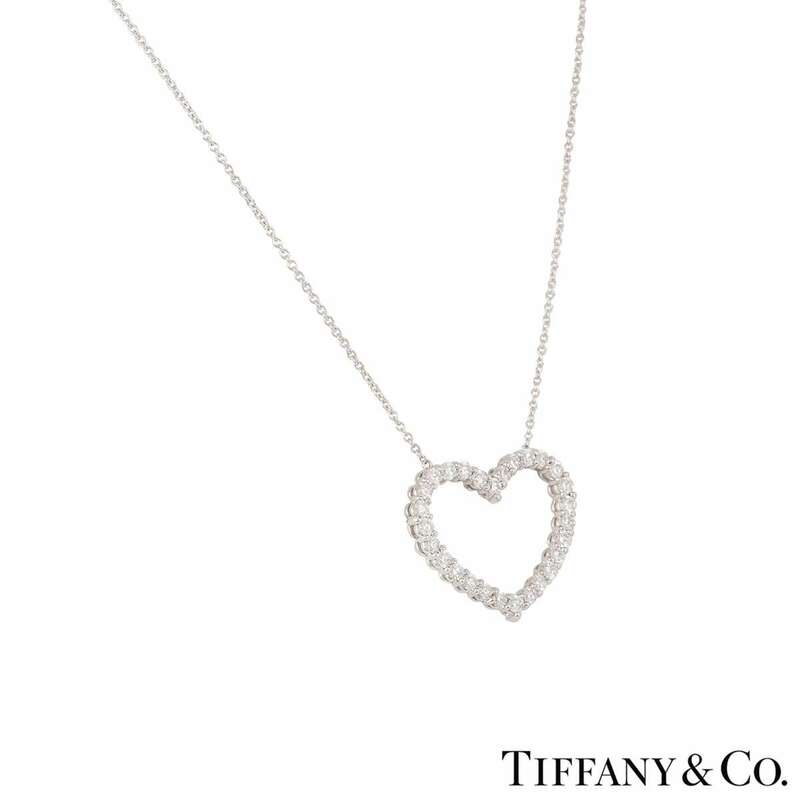 A platinum heart pendant by Tiffany & Co. 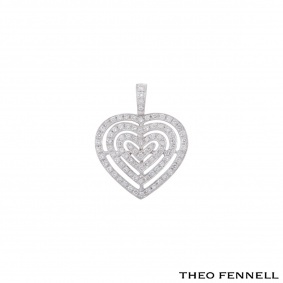 The openwork heart motif is set with 28 claw set round brilliant cut diamonds totalling approximately 0.84ct. 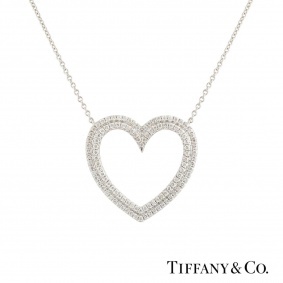 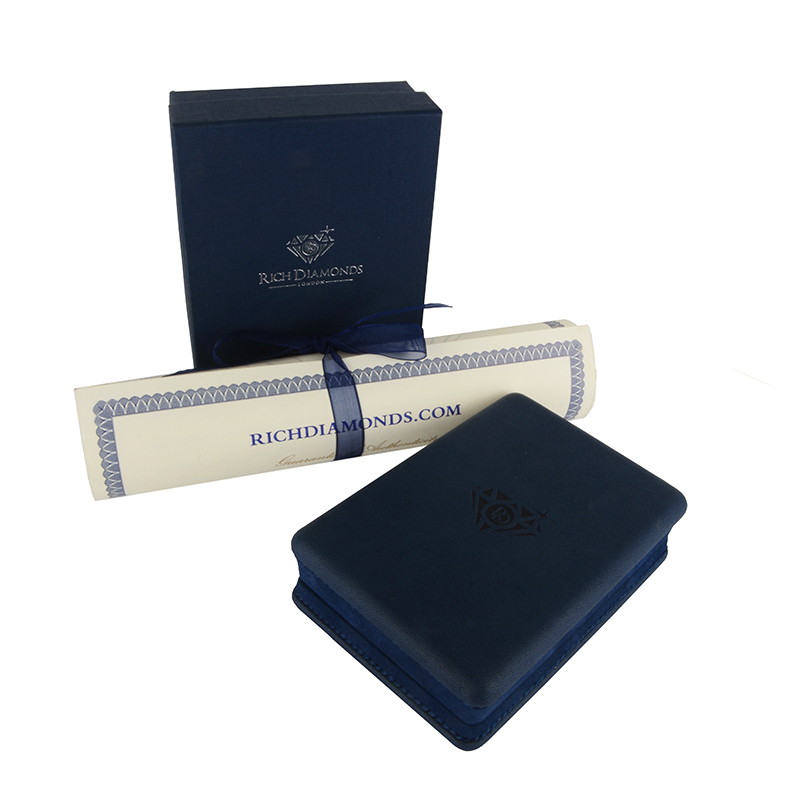 The heart measures 2.2cm in width, 1.8cm in height and comes on an original 16 inch chain. 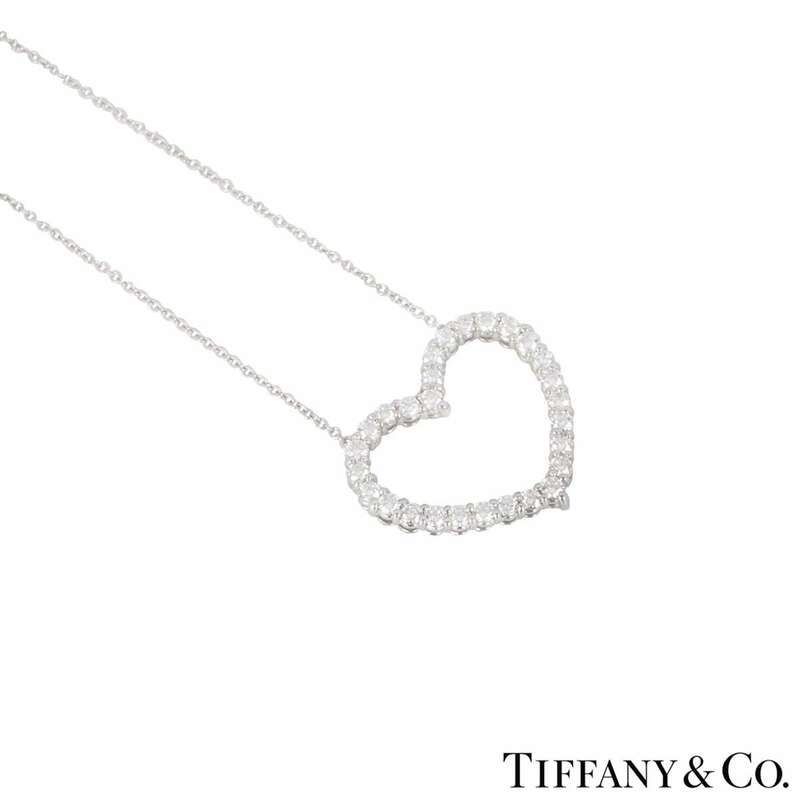 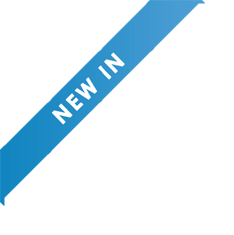 The pendant has a gross weight of 5.10 grams.